The longest serving player in the current Sierra Leone squad, Julius Gibrilla Woobay, has retired from international football with immediate effect. He decided to quit after the Confederation of African Football (Caf) disqualified Sierra Leone from the 2019 Africa Cup of Nations. "It's really sad that I'll end my career at a time when we've been disqualified from the Nations Cup qualifiers due to the Fifa suspension," the 34-year old BBC Sport. "I wanted to end my career on a high note by qualifying my country to the Nations Cup finals. This was the last opportunity I had to do so. "It's a big disappointment because we had a good chance to qualify. We were determined to give our best to qualify because it was my last chance to play in the Nations Cup," he said. Woobay is one of the longest serving players in the history of the Sierra Leone national team having played for the Leone Stars for 17 years. The skilful attacking midfielder, who started playing as a left-back for Sierra Leone, made his international debut against Nigeria in 2001 in a 2002 World Cup qualifier in Freetown which they won 1-0. He went on to make over 40 appearances and scored two goals including one against Kenya in Freetown last year - a match which Caf has now annulled. Woobay says it is now time to for the next generation of players to be given an opportunity. "I have served my national team for 17 years and I think I have done enough. "I'm now giving way to the younger players in the team and my advice to them is to always give out their best for their country. "I had good moments with the national team as we won matches and I scored goals. "But I regret not playing the Nations Cup finals which would have been the best moment of my international career," Woobay added. Woobay played for the national team alongside former captains Mohamed Kallon, Lamin Conteh and Mohamed Kanu as well as the current Leone Stars coach John Keister. Keister has hailed Woobay's talents and said he will be missed. "Woobay has been a fantastic servant for the national team," Coach Keister told BBC Sport. "He was a good player for the team and has been very consistent. We'll miss him and we wish him good luck." A former Under-17 international, Woobay started his club football with local club East End Lions before moving to Europe where he played for clubs in Cyprus, Romania, Azerbaijan and Slovenia. Woobay also played for UAE club Al Shaab after signing for Egyptian side Al-Masry where he did not play a single game because of the Port Said stadium riot in 2012. Woobay has been without a club since his one year contract with Slovenia club Olimpija Ljubljana expired at the end of 2016. He has won two league titles in his career, one with Azerbaijan's Neftchi Baku in 2012-2013 season and the other with Slovenia's Olimpija in 2016. Woobay also won the Azerbaijan cup twice, with Khazar Lankaran in the 2010-2011 season and then with Neftchi two seasons later. He played in the 2012 Uefa Champions League second and third qualifying rounds for Neftchi scoring three goals. 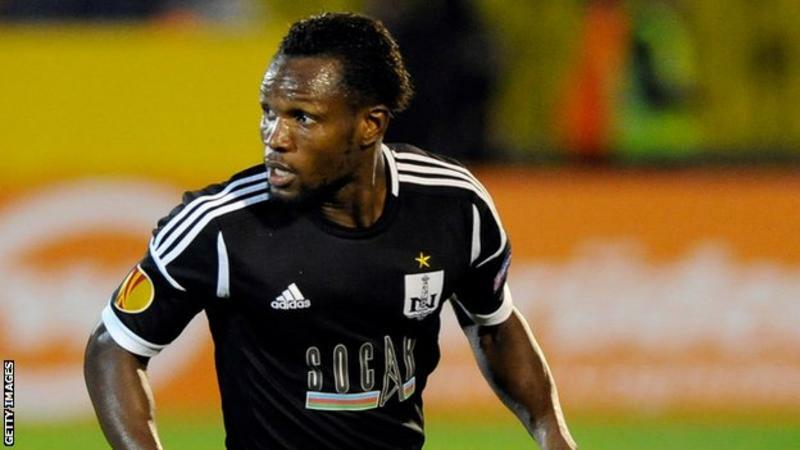 Woobay also scored in a play-off to help his club reach the Europa League group stage for the first time in 2012 after their their Champions League exit. Will Arsenal Add To United’s Winless Streak?